Four people died and nearly 50 were injured in a massive gas explosion that gutted the ground floor of a building in a central Paris shopping district on Saturday, authorities said. Interior Minister Christophe Castaner told reporters that two civilians and two firefighters had died of their injuries from the gas blast. "As firemen were looking for a gas leak in the building, a dramatic explosion took place," Castaner said, adding that one of the firemen had been buried under debris for several hours. 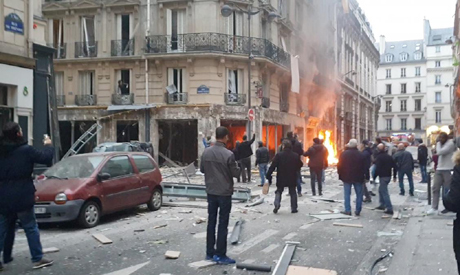 As Castaner spoke, thousands of yellow vest protesters marched noisily but peacefully through the Grands Boulevards shopping district of northern Paris, just a few hundred metres (yards) from the location of the explosion. More than 200 firefighters joined the rescue operation and two helicopters landed on the nearby Place de l'Opera to evacuate victims. Ambulances struggled to access the blast area because of police barriers set up to help contain any violence by yellow vest protesters.